At the end of 2017, the Resident Services Department administered a Community Needs Assessment Survey to residents. The results showed that our senior residents rated Health and Wellness as the top requested services category they would like to see enhanced by the D.C. Resident Services Department. 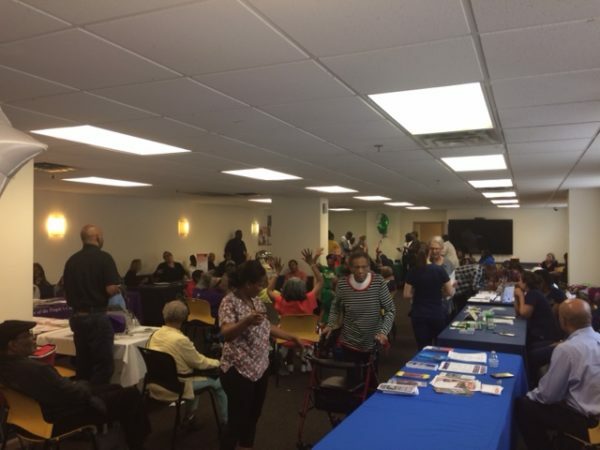 Dedicated to meeting the needs of our residents and promote healthy lifestyle changes, our team collaborated with the D.C. Office on Aging to host a series of Community Health and Resource Fairs at four of our senior properties in spring 2018. A multitude of non-profits and city government agencies attended the Fairs to provide information on different services for seniors as well as conduct health screenings, lead fitness demonstrations and distribute healthy food samples with recipe cards. 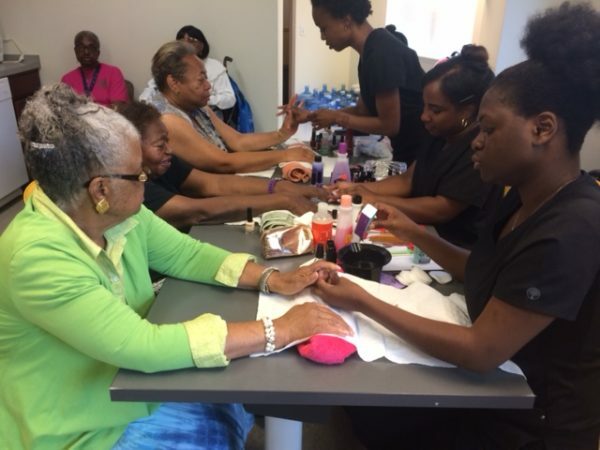 Further, the Health Fairs were an opportunity for seniors to enjoy free chair massages, haircuts, and manicures by students from Bennett Career Institute. The atmosphere was filled with excitement and an eagerness to learn more. 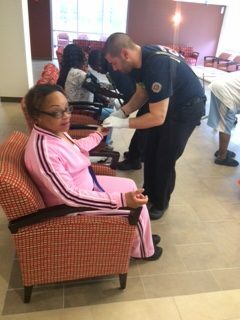 One resident expressed that the health fair was by far the best one she had been to and was glad the opportunity was provided onsite.